Pasai San Pedro Basque Country is beautiful and has lots of guest houses. Ofcourse we are only looking for the best guest houses in Pasai San Pedro Basque Country. It’s important to compare them because there are so many places to stay in Pasai San Pedro Basque Country. You’re probably wondering where to stay in Pasai San Pedro Basque Country. To see which guest house sounds better than the other, we created a top 10 list. The list will make it a lot easier for you to make a great decision. We know you only want the best guest house and preferably something with a reasonable price. Our list contains 10 guest houses of which we think are the best guest houses in Pasai San Pedro Basque Country right now. Still, some of you are more interested in the most popular guest houses in Pasai San Pedro Basque Country with the best reviews, and that’s completely normal! You can check out the link below. Skip to the most popular guest houses in Pasai San Pedro Basque Country. One of our best sellers in San Sebastian! Pensión Amara is offering accommodations in San Sebastián. The property is located a 19-minute walk from La Concha promenade, 1.2 mi from Victoria Eugenia Theater and 1.3 mi from Old Town. Free WiFi is available.All rooms in Pensión Amara are equipped with a flat-screen TV, a wardrobe and a fridge. 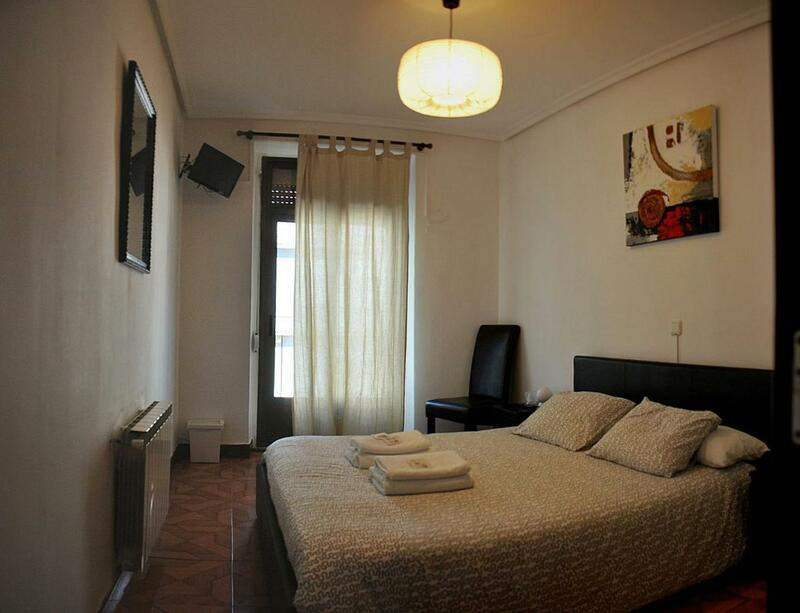 Guests have access to a shared coffee machine, kettle and microwave.Calle Mayor is 1.3 mi from Pensión Amara. San Sebastián Airport is 9.9 mi from the property. The place was clean. I booked a room with own bathroom and I didn’t experience the noise problems that other reviewers complained about. Quiet and clean would be how I describe the guestroom. Place is nice and tidy. Everything is cleaned every day. Our room was spacious. It had a bathroom and a small balcony. The staff is very friendly, they speak English (mostly) and answer to mail very fast. The neighborhood is packed with local restaurants full of pintxos and a variety of good wines. I liked the self-contained breakfast, particularly the chocolate drink. On the second day I got a coffee capsule, but not the first for some reason. One of our best sellers in San Sebastian! This property is a 5-minute walk from the beach. Featuring free WiFi throughout the property, Pensión San Martin is located in San Sebastián, 1,650 feet from Victoria Eugenia Theater.The rooms are equipped with a flat-screen TV. 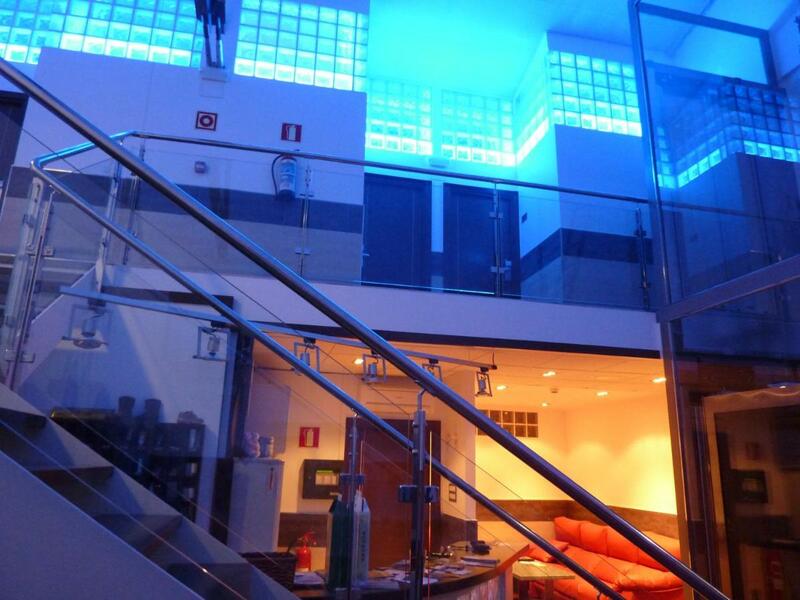 For your comfort, you will find free toiletries and a hairdryer.You will find a 24-hour front desk at the property, as well as a shared computer available to guests.Kursaal is 1,950 feet from Pensión San Martin, while Anoeta Stadium is 1.2 mi from the property. The nearest airport is San Sebastián Airport, 9.9 mi from the property. Lovely staff, newly renovated rooms, very clean and bright, excellent position, quiet a/c, Nespresso machine, lift available. The room was small but clean. The bed was comfortable and the location was great. The first room we stayed in had no outside windows, with three small beds and wardrobe bid enough for a 10-year old, all densely packed inside a 15m2 space. We were upgraded the next day, otherwise, we would have left immediately. The “best” room was still small but at least had a window/balcony and 1m2 entrance. Tiny wardrobe again. It was very noisy outside from 7am to 11pm, and the terrible smell outside all night long drove us mad (must be rat poison or similar). The only good thing about this hotel is its central location. The room was really small for 3 people. It also had no lobby area so it was very cramped. Though, the price was right and location was stellar. Parking was a bit challenging and it was hard to unload items. This property is a 6-minute walk from the beach. 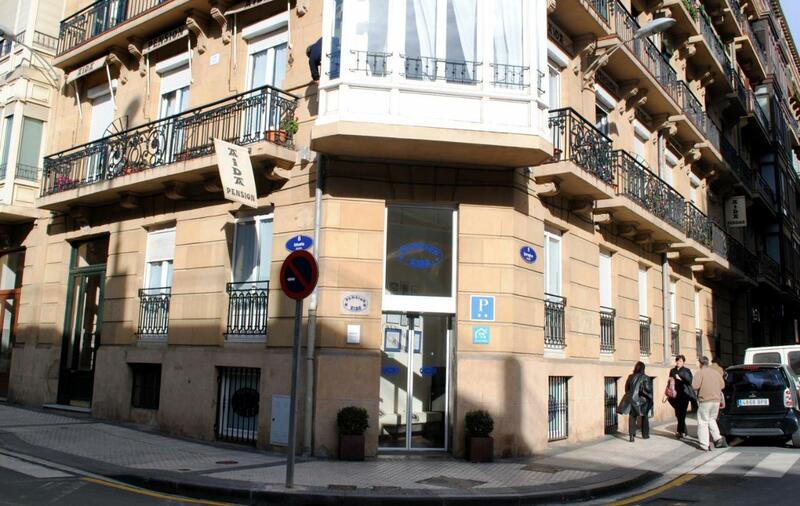 Featuring a 24-hour reception, Pension Aida is located 5 minutes’ walk from the beach in San Sebastián. It offers rooms with balconies and free WiFi, as well as serving a continental breakfast.Each simply decorated room has heating and a private bathroom. All rooms have a flat-screen TV and a desk.Pension Aida is within 650 feet of a range of cafes, restaurants and San Sebastián’s famous cider bars.Buses to San Sebastián Railway Station stop 5 minutes’ walk from the Aida. The city’s airport is 12 mi away. Gros is a great choice for travelers interested in gourmet food, food and bars. Location is great. Everything is very new and quality. Old charm interiors style. Helpful stuff. Great place if you have no luggage. Very good location, clean and comfortable, helpful and friendly staff. Excellent value for money. Great property and the owners very friendly, very clean. The people working there are amazing, extremely helpful, kind, and solve a big problem I had. 10 out of 10! I loved the rooms and the location made my life very easy when visiting the city! One of our top picks in San Sebastian.This property is a 4-minute walk from the beach. Pensión Bule offers accommodations in San Sebastián.Rooms come with a flat-screen TV and air conditioning. Rooms are fitted with a private bathroom. For your comfort, you will find free toiletries and a hair dryer.There is a tour desk at the property.Both Kursaal and Victoria Eugenia Theater are 1,000 feet from Pensión Bule. San Sebastián Airport is 9.9 mi away. Shampoo and hand soap fantastic. Comfortable, fresh and clean. Big shower with great water pressure. Good room service and the communal coffee machine was fantastic. We used the car parking facilities offered to us located nearby and it was convenient and well explained to us. Very friendly team and made a big effort to provide recommendations in the old town . Friendly and helpful staff. The small room is well designed taking into needs for storage and hanging up clothes. Good coffee and tea in common area. The room a bit expensive as there’s a special event that weekend. Great Pensione, loved the location, all the staff were amazing, friendly, spoke English and Jose even booked rail tickets for us. Loved the coffee area. Highly recommend. One of our top picks in San Sebastian.This property is a 3-minute walk from the beach. Ideally located near Concha Beach as well as the city center, this hotel has great access to the local tapas bars and provides smart, simple accommodations. There is a car park a 5-minute walk from the property.Sleep well in the bright and airy rooms with smart, wooden floors. 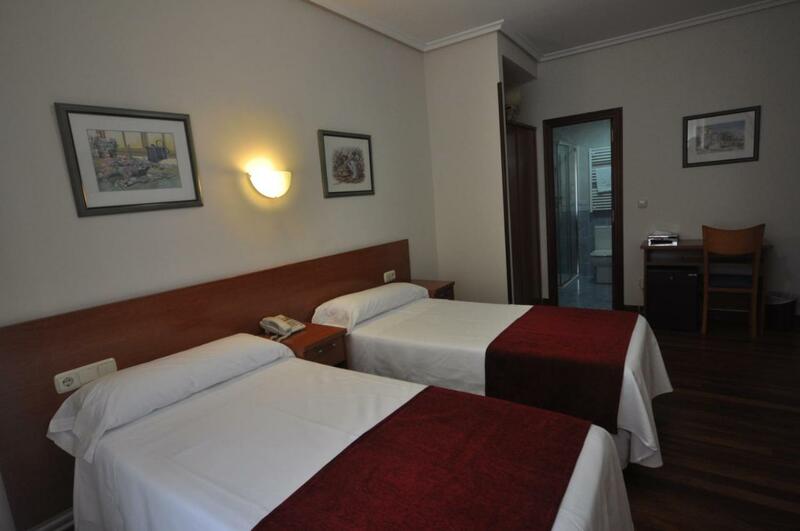 All the Alameda’s rooms have private, private bathrooms.Keep up to date or research the area with the free, wireless internet connection.An iron and ironing board are available.The Alameda is a fantastic base for you to explore the delights of San Sebastian. Stroll through the historic center and browse the shops, bars and restaurants where you can try characteristic Basque cuisine and authentic Spanish tapas. Walk a little further down to the golden beach where you can have a refreshing dip in the sea or simply enjoy the views with a coastal walk. Location was great, very near beach and close to lots of restaurants, cafes, and information centre. Really was In the heart of the old town which was beautiful. Very friendly and helpful owner. Amazing location and extremely clean and comfortable. Location is perfect and the staff and the couple who runs the pension are really nice and accomodating. The owner Terese and her husband were so welcoming and nice, I felt actually very at home even though I was out of the room most of the hours. It´s perfect situated in the old town with an old style decoration that´s actually fits in, nearby everything, very clean, good bed, nice balcony with view to the street, no problem with noise for me and everything was in perfect function. Pensión Aussie II in San Sebastian features a garden and a terrace. Located around 1.8 miles from La Concha Promenade, the guesthouse is also 2 miles away from Victoria Eugenia Theater. Old Town is 2.1 miles from the guesthouse and Kursaal Congress Centre and Auditorium is 2.1 miles away.Guest rooms in Pensión Aussie II are equipped with a flat-screen TV. The rooms have a closet.Calle Mayor is 2.1 miles from Pensión Aussie II, while Santa Clara Island is 2.4 miles from the property. San Sebastián Airport is 10 miles away. Calm and nice pension. Clean room. 2 nights are enough. Spacious and airy. Close to bus to town. Walked to restaurants. Parking very near. Comfortable beds, quiet place and Ignacio is a warm and wonderful fellow. Great parking too! Tranquilidad posibilidad de aparcamiento bien comunicado con el centro. One of our best sellers in San Sebastian! This property is a 5-minute walk from the beach. Centrally located, just 350 feet from San Sebastián Train Station, Pension Aristizabal is in a quiet area, 5 minutes’ walk from La Concha Beach and the historic center. Free WiFi is available.Featuring tiled and heating floors, most rooms come with a balcony, some with city views. Each room has a flat-screen TV and a wardrobe. Rooms have access to shared bathroom facilities, or a private bathroom with a hairdryer and free toiletries.The guest house has a elevator and tourist information is offered. San Sebastián Cathedral is just 150 feet from the property. Location was excellent and the room had a balcony that allowed us to look out over SAN Sebastian and feel part of the city . The staff were fantastic . Our luggage went missing and they helped us over and above what was needed . We got it back eventually -their help made it much easier. The owners were just wonderful and so helpful about everything. They make you feel very comfortable. The room was spotless and the bed very comfortable. Great location 5 min walk from Train station and 7 min walk to Old town. Room had balcony into courtyard with a shared bath. Bath/shower very clean. No Air conditioning, but comfortable with cool nights. 1. Very close to both the train stations. 2. Close by from the river walk and the beaches. 3. One minute away from the Cathedral. 4. Interesting cafe and eating places. 5. Close to shopping area. 6. Place is safe and secured. 7. The property(on the 4th floor) has lift. 8. The rooms a bit to small, but ok for short stay. 9. Very clean and tidy. 10. Owner/host wonderful and warm person. Very helpful and friendly. This property is a 4-minute walk from the beach. Offering a central location, Olatu Guest House is less than 5 minutes’ walk from both La Concha beach and San Sebastian’s historic town. It offers charming rooms with balconies, free WiFi and a lounge.Each room at Olatu Guest House has attractive décor finished in warm, Mediterranean tones with wooden furnishings. Guests have access to shared bathrooms. You can relax in the bright lounge, where there are sofas and a TV.Traditional cider bars and restaurants can be found in the surrounding old town.Kursaal Congress Palace or Zurriola beach are less than 10 minutes’ walk away. San Sebastián Railway Station is 10 minutes’ walk from the property, while the bus station is a 20-minute walk away. Perfectly situated in the city with easy access to all sites. The room was most comfortable. The room and shared bathrooms were spacious and clean. Separate and large share living area, nice and light. Great location. It’s fine, but basic. Very central and host friendly. Bed (bunk) was comfortable for me as travelling alone and little balcony at back good for drying boots! Kettle and hot drinks in common room, overlooking street helpful. Pensión Txoko-Maitea offers accommodations in Urnieta, 50 feet from the bus stop and 1,000 feet from the train station.Every room comes with a flat-screen TV. Some units have a seating area to relax in after a busy day. Some rooms feature views of the mountains or city.The rooms have either access to shared bathroom facilities, or have a private bathroom.San Sebastián is 5 mi from Pensión Txoko-Maitea, while Biarritz is 27 mi from the property. San Sebastián Airport is 12 mi away. The property offers free parking for motorbikes. We made a stop in Txoco Maitea the last week of august on our way to Madrid (we had planned to visit San Sebastian) The rooms were modern and clean, we had our own balcony, and the breakfast was included in the price. The location is close to San Sebastian by car, the personal is really caring. The only minus point was the bathroom, which was shared with other rooms (but it was clean), but it is difficult to complain about it at this price level, in high season, very close to a touristic destination. 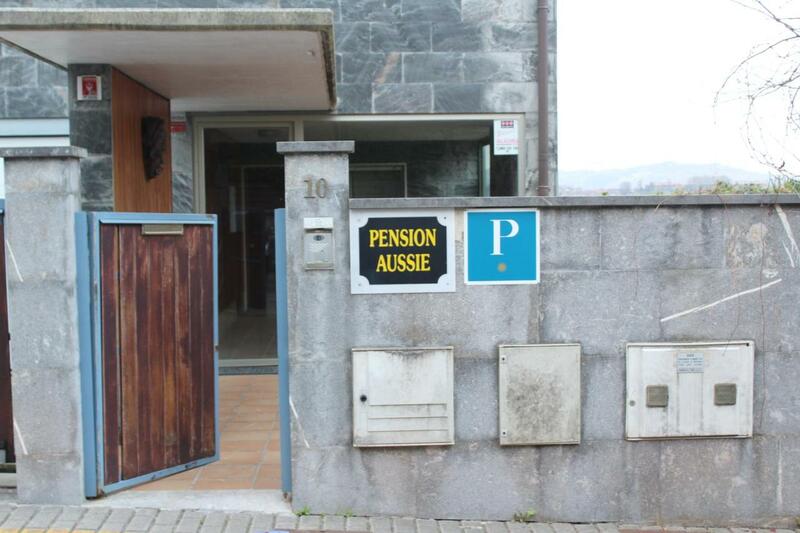 Altogether, The pension Txoco Maitea provides an excellent price quality ratio. The room and its private bathroom were perfectly clean (everyday cleaning !). The hotel is well situated, at 30min’s ride from the hotel (bus stop at 2min’s walk. They run every 30mins until late). The area is quite and safe. And, bonus, we had free breakfasts. The bed was comfortable. Basic breakfast is available in the kitchen all day long. Plenty of fresh fruit for breakfast. The pension was very near the main street so not far to walk for other amenities. Although near to the centre the area was quiet. La amabilidad de la anfitriona y que nos invitó a un desayuno correcto. Set in Astigarraga, 3.7 mi outside San Sebastián, Pensión Astigarraga offers smart rooms and apartments with views of the surrounding mountains. It features a 24-hour reception, free wired internet access and a café-bar.Pensión Astigarraga is a restored warehouse with Modernist and Minimalist décor inspired by New York lofts. It has a stylish lobby with blue lighting and glass panels. All air-conditioned rooms and apartments have simple, modern décor with a wide picture window overlooking the surrounding countryside.There is a pillow menu, flat-screen cable TV, a desk, safe and a private bathroom with toiletries. Apartments include a living room and a kitchenette with a fridge, microwave, toaster and a coffee maker.You can enjoy breakfast in the café or in your room. The property also features a communal lounge and a laundry service. Free parking is available on site and motorbikes can be stored inside.Regular busses to San Sebastián stop just 350 feet away. Irún and the French border are approximately 12 mi away. The Staff and the quality of the materials in the room.The Continental breakfast was very good also. The room was a good size – like a mini suite. Roomy shower (I am 1.96 m tall), good sized bed, and mini kitchen with microwave. Easy to find. Great location on route to Saint Malo ferry. Clean rooms. Friendly and knowledgeable staff. Free fairly secure parking. All pubs and restaurants offer a wide selection of local cider. Local white wine was really good. We got a free upgrade to an apartment. Go fo the coffee at breakfast, it is great. The rooms are new and well fitted out. The above is a top selection of the best guest houses to stay in Pasai San Pedro Basque Country to help you with your search. 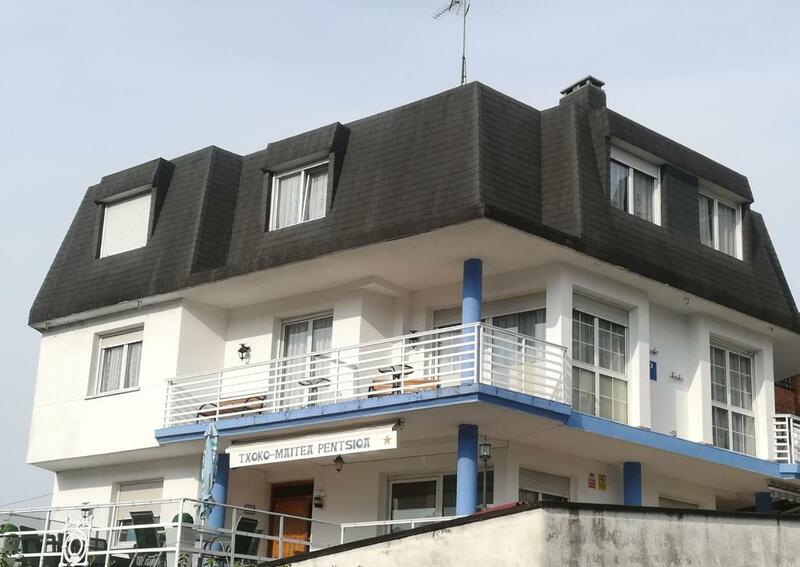 We know it’s not that easy to find the best guest house because there are just so many places to stay in Pasai San Pedro Basque Country but we hope that the above-mentioned tips have helped you make a good decision. We also hope that you enjoyed our top ten list of the best guest houses in Pasai San Pedro Basque Country. And we wish you all the best with your future stay!